Deploy PDF creation capability across your organization on Windows Server 2016, Windows Server 2012, Windows Server 2008, 2003, Windows Small Business Server, Citrix MetaFrame Server! 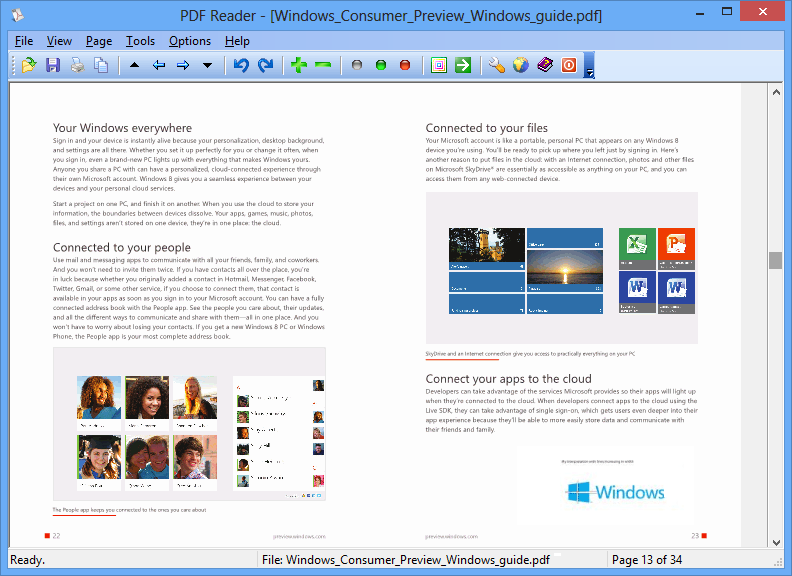 Open, read, view, review and print Adobe PDF files, and convert PDF to TXT, BMP, JPG, GIF, PNG, WMF, EMF, EPS, TIFF with this lightweight yet full-featured free PDF viewer as an alternative to Microsoft Windows Reader. The software supports zoom in and zoom out, page rotation, and PDF slide show, and it can be added to Windows 10 as a built-in PDF browser. Designed and certified for Microsoft Windows 10 64-bit and 32-bit.